For many years, digital technologies have been transforming logistics across a range of industrial sectors. Today, the rise of big data and the Internet of Things (IoT) are continuing to make digital devices more complex and widespread. The pace of change has been particularly rapid in the transportation sector as both suppliers and their customers demand quicker, cheaper and simpler services to connect them. At the frontline of this innovation push are intermodal hubs, where cargo is transferred between different modes of transport. The European Federation of Inland Ports (EFIP), which represents inland ports in Europe, believes their future competitiveness will hinge on the quality of their hard physical infrastructure and their adoption of soft digital solutions. “As trade and cargo volumes are expected to grow on a global level, the integration of intelligent transport systems within port communities will have huge potential to increase the efficiency and cost effectiveness of logistics”, said Alexander van den Bosch, Director of EFIP. Since they are not directly involved in the supply chain, intermodal ports can play a neutral role in bringing parties together to discuss strategies for developing ‘logistics 4.0’, which encapsulates cutting-edge supply chain technologies such as IoT devices. 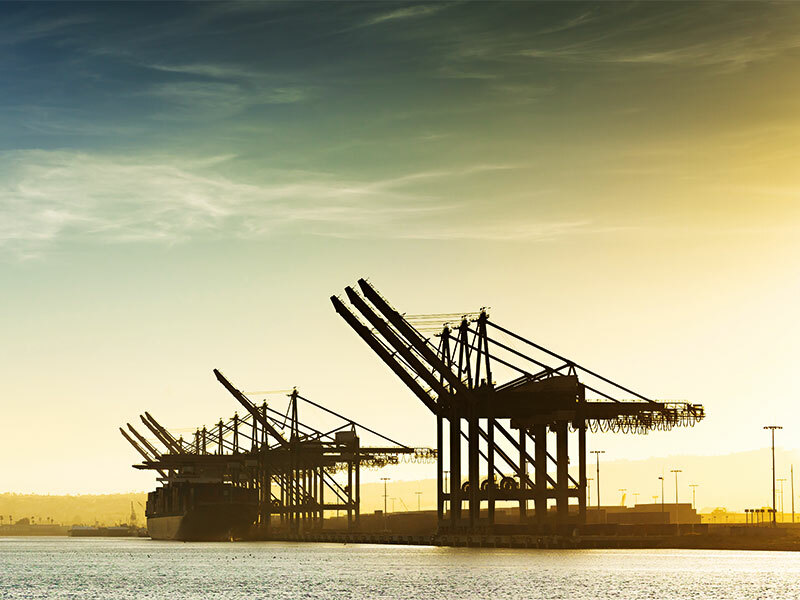 “As facilitators, intermodal ports can support the development of a port digital layer, and can initiate the development of independent IT platforms. This would enable shippers and forwarders to bundle their freight flows and integrate real-time data”, said van den Bosch. To make digitalisation smooth and effective, public and private entities need to collaborate. The collection of big data by an independent governmental body would allow containers and cargo to be monitored in real time. This could lead to better economic forecasting as an array of different parameters, including water levels in ports and fuel consumption in vehicles, could be combined. It would also help public bodies to gauge when and where to develop physical infrastructure. The EU’s 2011 white paper – Roadmap to a Single European Transport Area – stated that over €1.5trn will be needed between 2010 and 2030 to develop transport infrastructure in line with demand. By 2050, the demand for freight transport activity is expected to rise by 80 percent and passenger activity by 51 percent. To keep up, the EU will need to spend at least €550bn before 2020, €215bn of which will go towards fixing bottlenecks. In the private sector, transport and waste management companies will need to keep working towards a circular economy that emphasises waste reduction and utilises vast supplies of raw materials. Port authorities such as Strasbourg already host industries that collect, treat and ship waste materials. If these materials were incinerated and used to generate power, they could reduce fossil fuel use and create jobs. “Inland ports are attractive for the recycling industry, due to their proximity to cities, industries and terminals”, van den Bosch said. “Intelligent transport systems bring additional opportunities to reduce carbon emissions and to support EU objectives on climate change towards 2030.” In future, these will be key areas of growth, as will the more interlinked networks between inland ports and seaports.